This text contains 156 questions in surgery, and is designed to be answered in the same time allotted to the short answer question paper in the examination for the fellowship in General Surgery. 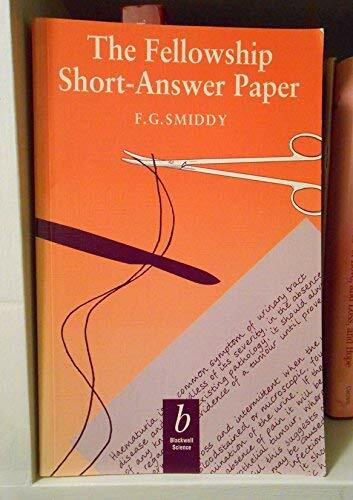 The short answer paper itself comprises eight compulsory questions set by the College of Surgeons. Each question is accompanied by an answer, a paragraph-length explanation and a specific page reference to either a current journal article, a textbook or both.